INGREDIENTS: fresh tomatoes, green peppers, red peppers, onions, garlic, white vinegar, chili, cilantro, sea salt and spices. 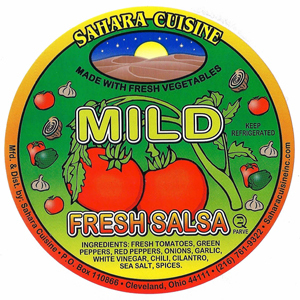 INGREDIENTS: fresh tomatoes, green pepers, red peppers, jalapeno peppers, onions, garlic, white vinegar, chili, cilantro, sea salt and spices. INGREDIENTS: fresh tomatoes, green peppers, red peppers, jalapeno peppers, onions, garlic, white vinegar, chili, cilantro, sea salt and spices. 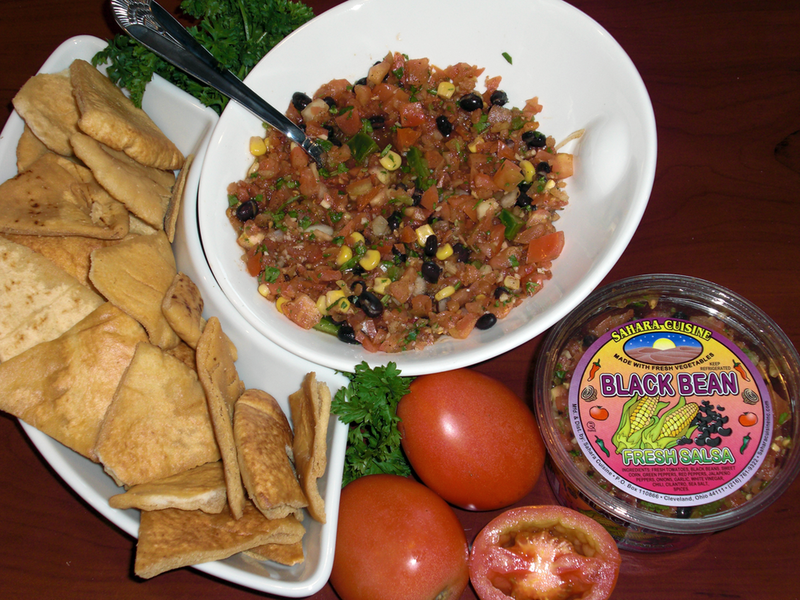 INGREDIENTS: fresh tomatoes, black beans, sweet corn, green peppers red peppers, jalapeno peppers, onions, garlic, white vinegar, chili, cilantro, sea salt and spices. 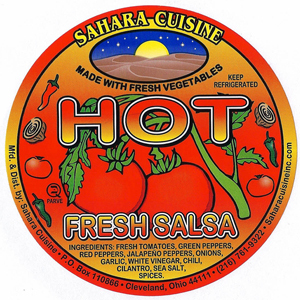 Sahara Cuisine is a certified kosher wholesale food company located in Cleveland, Ohio, proudly displaying the kosher symbol on our products. We produce over 28 different varieties of hummus dips, available by the case which can be used as a sauce on sandwiches and wraps. It also makes a great vegetarian appetizer on pita bread, chips or crackers.